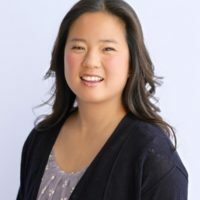 Dr. Tarina Kang is the Chief of the Emergency Ultrasound Division within the Department of Emergency Medicine at the University of Southern California. Dr. Kang’s primary interests are to educate residents, students, and faculty in emergency ultrasound, integrate emergency ultrasound as a point of care clinical modality into clinical practice, and continue to strive to provide support and opportunities for members of the ultrasound division to excel in areas of ultrasound education, research, and service. After graduating from the emergency medicine residency at the Beth Israel Deaconess Medical Center in Boston, MA, she completed a one-year fellowship in emergency ultrasound, and returned to start an inaugural emergency ultrasound program at Beth Israel. Since arriving at the University of Southern California, Dr. Kang continues to make education, academic productivity through research, innovation, and service a priority. Her current research interests are in the improvement of cost-effectiveness in radiology utilization.